C.A.M.P. Climb Turbo Chest for 8-13m 2256. 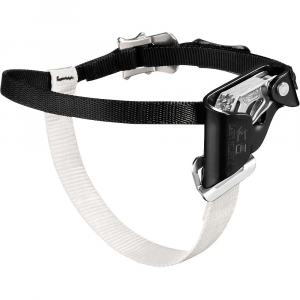 This not only helps with climbing efficiency by making the upward glide much smoother. It also reduces dangerous wear on the device where the rope tends to rub on the body of a traditional ascender. 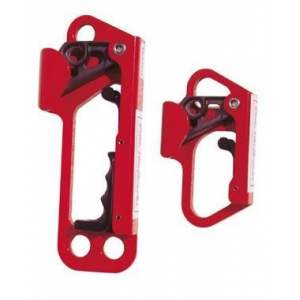 The perfectly profiled closure keeps the rope in line with the body of the device and the rollers to prevent the rope from escaping the device during tight pendulums and traverses. The toothed cam is finished with a special anti-wear treatment and features drain holes to help prevent the build up of mud grit and ice. The main body also features drain holes along the rope path to allow grit and moisture to escape during use for better contact with the rope. Thicker body plates and a shaped connection point reduce wear on the device caused by shifting between the device and the connector (especially when used with steel connectors). This also keeps the device more in-line with the body during use. 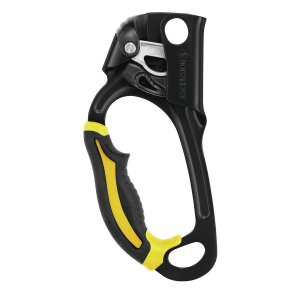 The opening mechanism is simple and secure with the ability to lock the device open for easier attachment and a removable pull cord that makes it easier to operate while wearing gloves. The proprietary rollers also allow the Turbochest to be rigged as a locking pulley for light hauling with a max load of 50 kg 110 lbs. 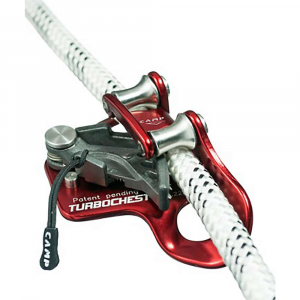 This revolutionary chest ascender features 2 proprietary rollers that create a smooth interface with the rope for speed and efficiency when ascending. Proprietary rollers increase climbing efficiency and decrease wear and tear on the device and ropes Super smooth action and increased safety on traversing maneuvers Thicker body plates and a shaped connection point reduce shifting between the device and connector Can be rigged as a locking pulley for light hauling (max load 50 kg, 110 lbs) For ropes from 8 to 13 mm A revolutionary chest ascender that features two proprietary rollers for a smooth interface with the rope. This not only helps with climbing efficiency by making the upward glide much smoother. It also reduces dangerous wear on the device where the rope tends to rub on the body of a traditional ascender. 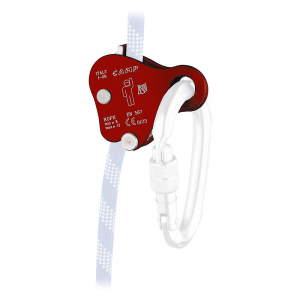 The perfectly profiled closure keeps the rope in line with the body of the device and the rollers to prevent the rope from escaping the device during tight pendulums and traverses. The toothed cam is finished with a special anti-wear treatment and features drain holes to help prevent the build up of mud, grit and ice. 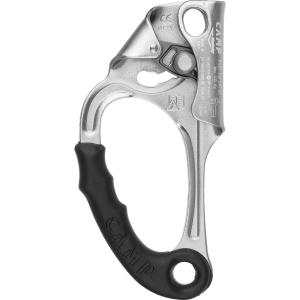 The main body also features drain holes along the rope path to allow grit and moisture to escape during use for better contact with the rope. Thicker body plates and a shaped connection point reduce wear on the device caused by shifting between the device and the connector (especially when used with steel connectors). This also keeps the device more in-line with the body during use. The opening mechanism is simple and secure with the ability to lock the device open for easier attachment and a removable pull cord that makes it easier to operate while wearing gloves. The proprietary rollers also allow the Turbochest to be rigged as a locking pulley for light hauling with a max load of 50 kg, 110 lbs. 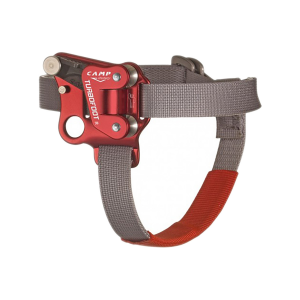 This is great for guiding the ascending rope and for rigging a haul system. NOTE: This configuration is not intended for hauling or securing of bodies.